Amritsar is a beautiful historic city in the northern state of Punjab in India. Literally known as the Pool of Nectar, Amritsar has derived its name from Amrit Sarovar, the holy tank surrounding the world famous Golden Temple. Being a home of such a great architectural marvel, this city is often called the Golden city. Harmandir Sahib or The Golden Temple as it is popularly known as is the spiritual and cultural center of the Sikh religion. The city also serves as a major pilgrimage center for Sikh devotees. The city boasts of being the main centre of Sikhs' cultural, religious and political history. This fabulous city is situated at an altitude of 218 m above the sea level and is a major political centre of the state as it is the administrative headquarter for Amritsar district, Langer. In terms of accommodation, the city boasts of a wide range of options, like hotels, heritage hotels, resorts and home stays for its guests, making it a well suited place for all kind of travelers whether it’s a layman or business class executive. 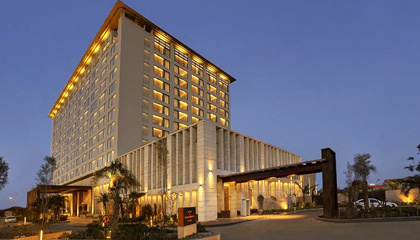 For those who take a small leisure trip to Amritsar without compromising on the luxury and facilities, you can go for the five-star properties in the city. Besides that, to enjoy the best facilities with absolutely valuable services, you can choose from the selection of four-star hotels. If you want to enjoy the true Punjabi style of hospitality with true value service then various three-star and budget category of hotels would be the best choice. Whatever you choose, you are sure to get baffled by the warm and amiable ambiance of Amritsar.